Ralph Misener under Blue Water Bridge. A.W. Mooney Photo August 1985 Ralph Misener built 1968 at Canadian Vickers shipyard in Montreal. Originally a self unloader the machinery failed and was removed in 1977; the ship converted to a straight decker. 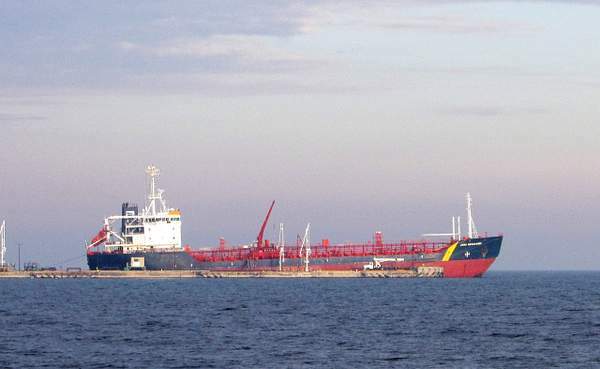 Misener fleet sold to Upper Lakes Shipping in 1994. 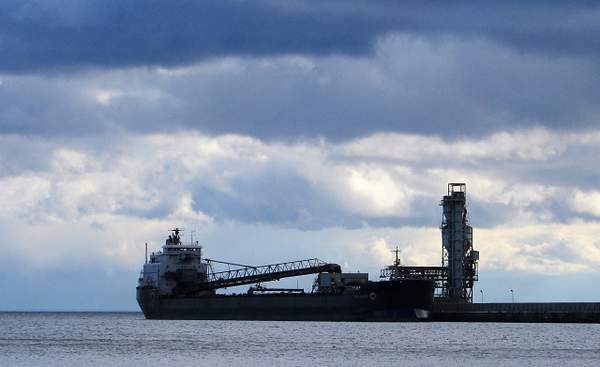 Ship was renamed Gordon C. Leitch . 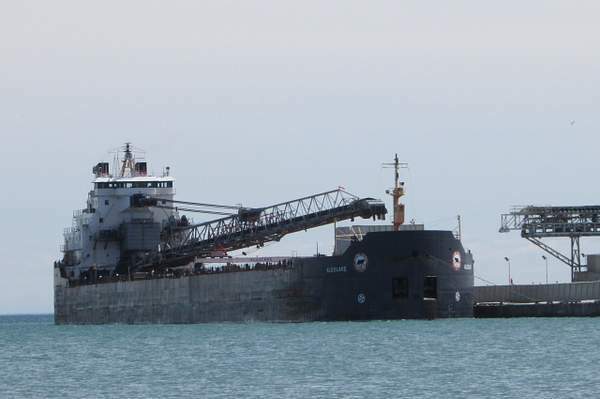 ULS fleet sold to Algoma Central Marine 2011. 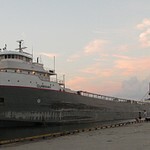 As Gordon C. Leitch ship sailed till December 2011. 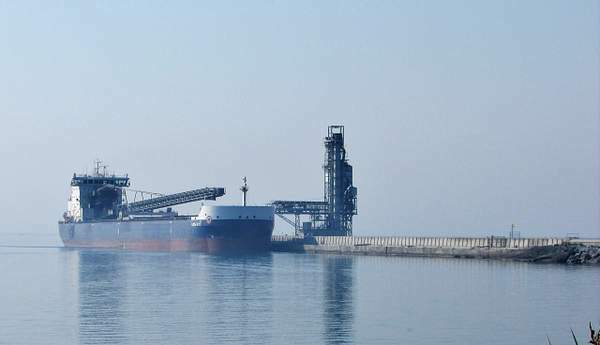 Sold for scrap in 2012 and taken to Turkey. October 10 2008 Probably identified through the Boatnerd website. 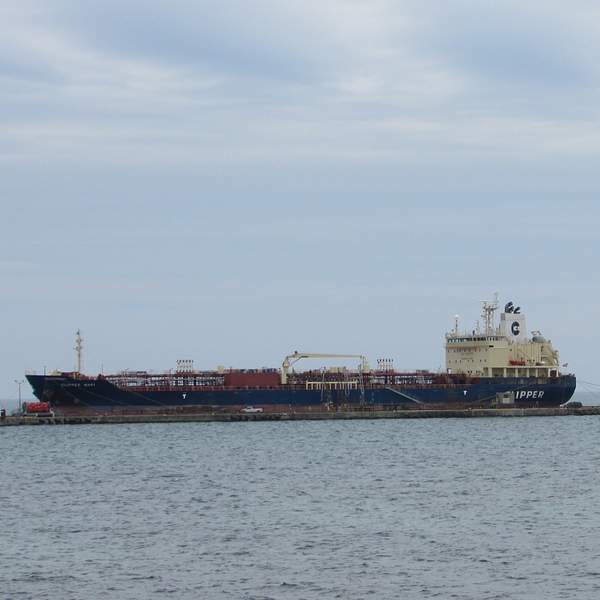 The Algolake has just appeared over the horizon inbound to Clarkson St. Lawremce Cement. First of the Season 2019. There might have already been two arrivals in Clarkson before April 9 but this was the first picture of the season. 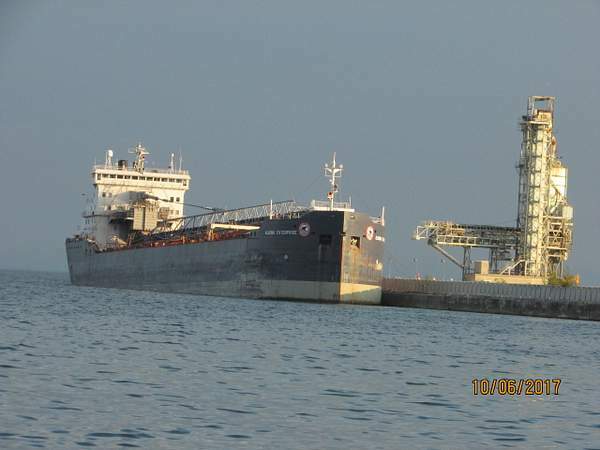 Another casualty of Algoma Central's modernization program the Algolake was built in 1976 at Collingwood. Her maiden voyage was in 1977 and she sailed for 40 seasons being laid up at the conclusion on the 2017 season. 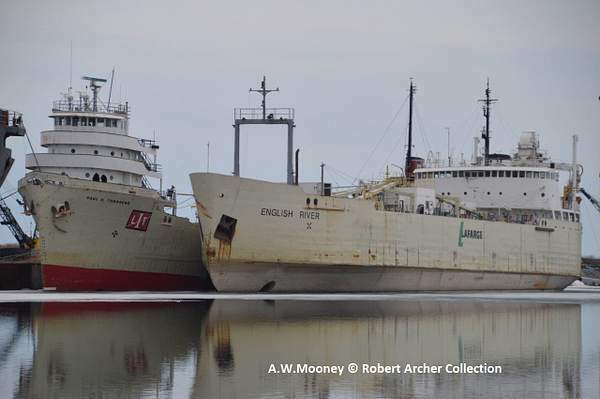 She was sold for scrap and towed to Turkey in 2018 . 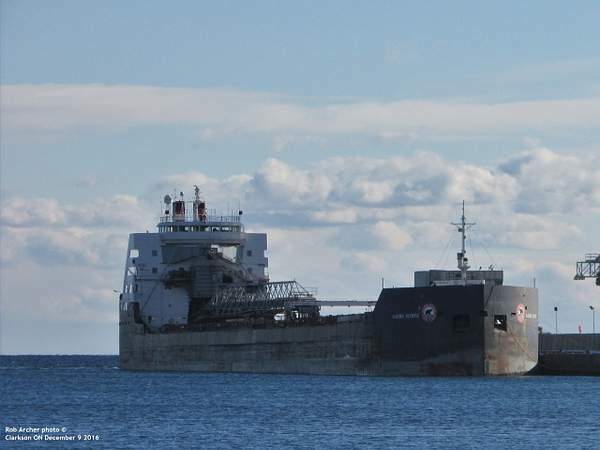 Built in 1979 as Canadian Enterprise for Upper Lakes Shipping it was transferred to Algoma Steamships with the rest of the Upper Lakes fleet in 2011. 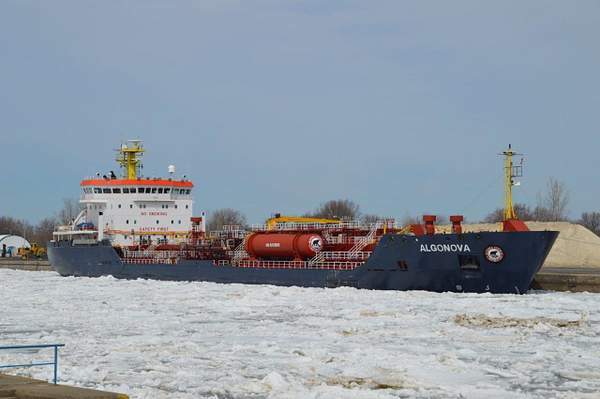 Algoma Olympic spring voyage to Clarkson. April 2017. 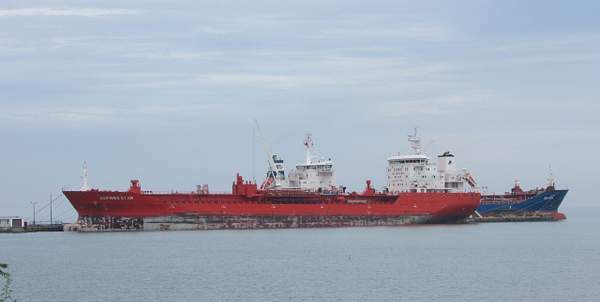 This ship finished the 2017 season and was towed to Turkey for scrapping. 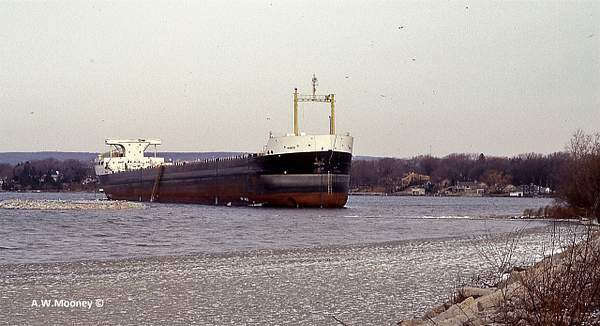 Built in 1976 as Canadian Olympic (the 1976 Olympics were held in Montreal) for Upper Lakes Shipping it came to Algoma Steamships with the rest of the Upper Lakes fleet in 2001. I was able to catch it near the close of the 2016 shipping season but it sailed another year after that. 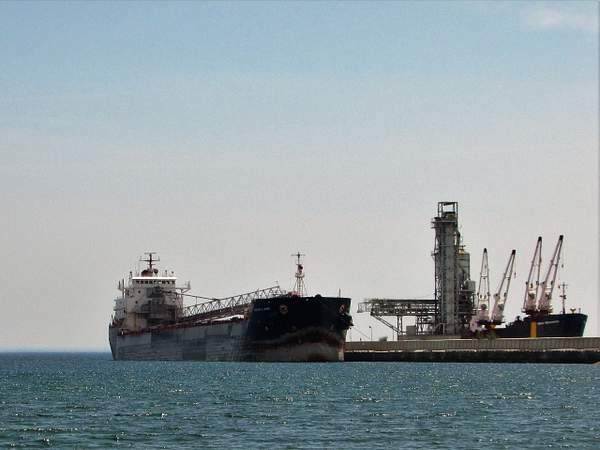 The Algoma Sault, built in 2017, is the second self-unloading Equinox Class 740-foot bulk carrier. 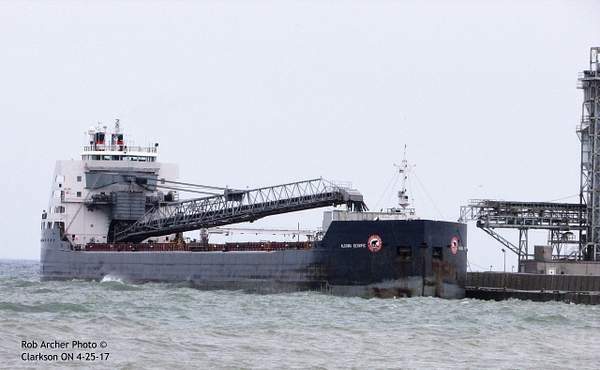 The vessel name pays tribute to the long-standing relationship between Algoma Central Corporation and the City of Sault Ste. Marie and recognizes the important role that marine shipping plays within this community. 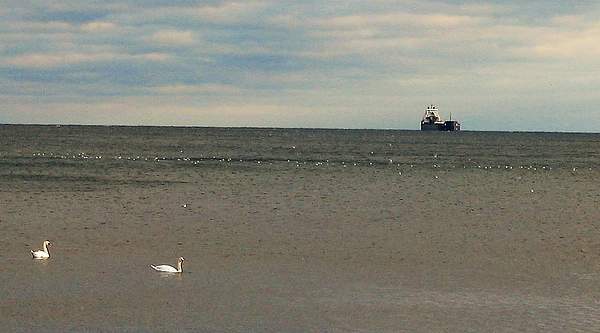 Bronte is a Lake Ontario tanker terminal. 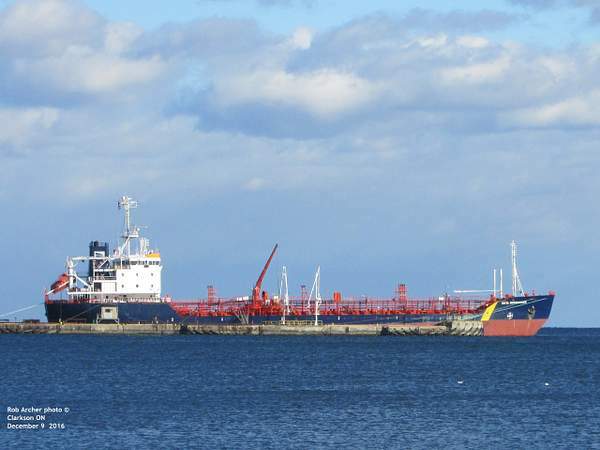 Located in Oakville it serves Suncor - Petro Canada for refined products. 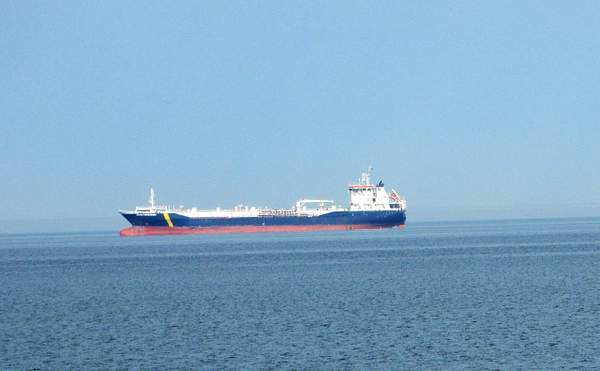 Algonova , Algoma Tankers, was tied to the jetty in August 2017. 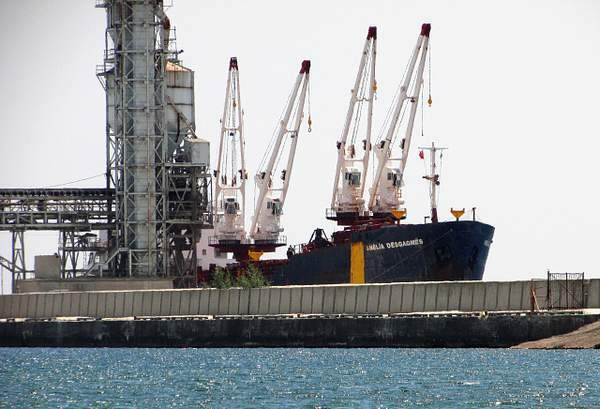 Built in Turkey - launched 2008. 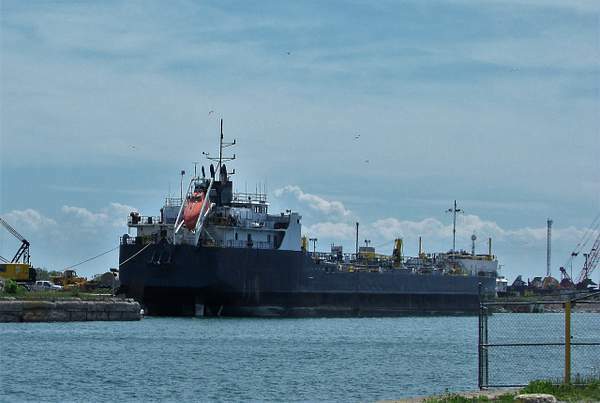 Algosar (II) was being scrapped in Port Colborne ON in May 2016. 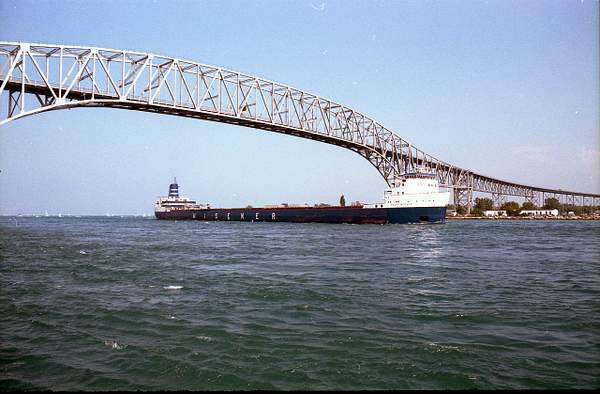 Launched in Texas in 1977 as Gemini - flagged Canada in 2005. Sailed till end of 2015 season. 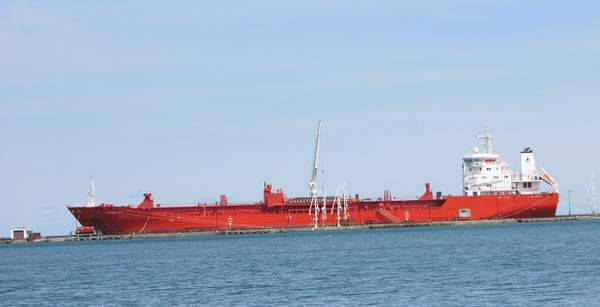 Amelia Desgagnes was built in 1976 as Soodoc fro N M Paterson at Collingwood Shipyards. Cranes were added in England in 1977. 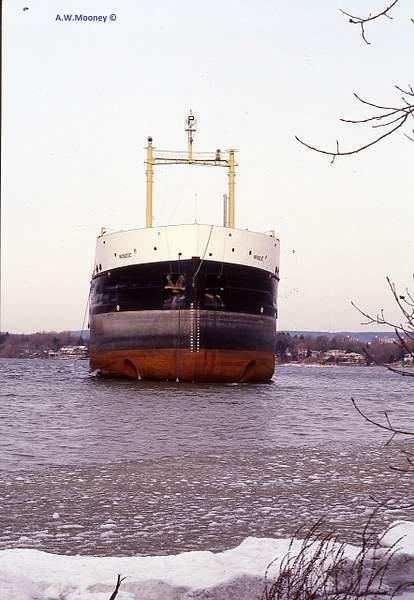 In 1990 she was acquired by Groupe Desgagnes and renamed Amelia Desgagnes. 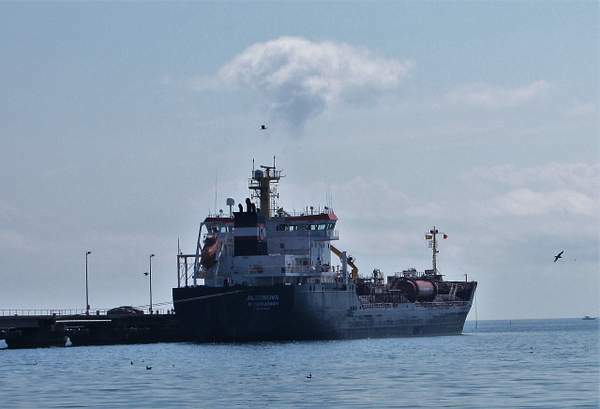 She was sold in 2017 and scrapped in Turkey. 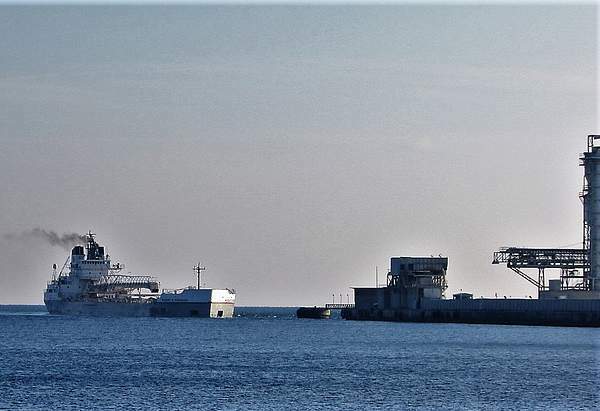 Radcliffe T Latimer (Algoma central) and Amelia Desgagnes (Grp Desgagnes) both at CRH Cement pier. 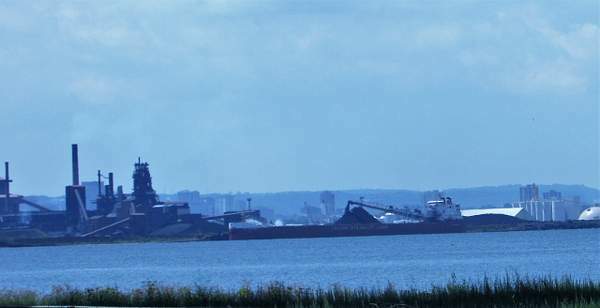 Photo taken in August 2017 across the Hamilton Harbour and the Burlington Spit of a CSL vessel unloading coal for the Hamilton Coke Works. 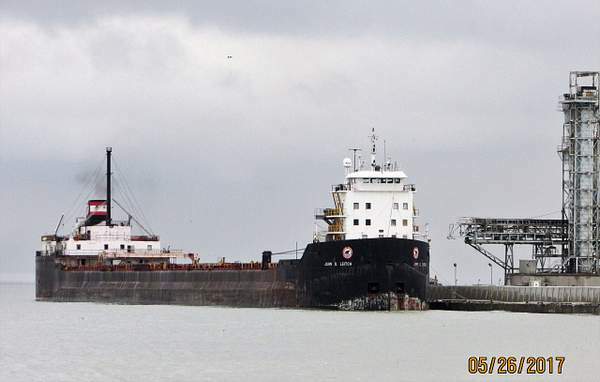 Robert Pierson is delivering another load of limestone to the CRH dock. 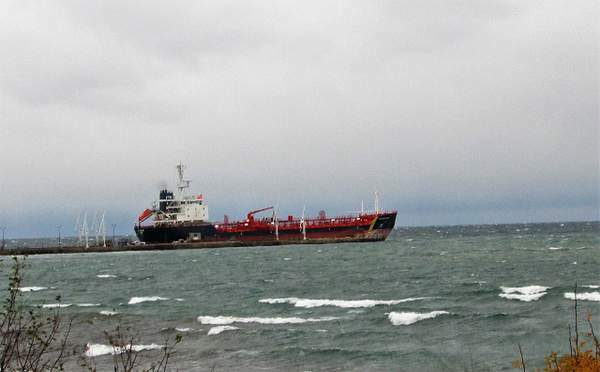 December 8 and the Great Lakes -St. Lawrence Seaway shipping season is drawing to a close with only a couple of weeks left till the Seaway and Welland Canals close. The PetroCan pier is fully occupied. 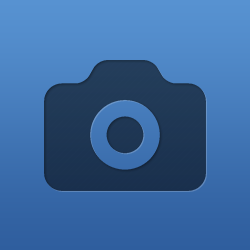 Erria Swan, DK, Blt. 2006. A misty, gloomy December 1 2018 morning at Petro Can Clarkson. 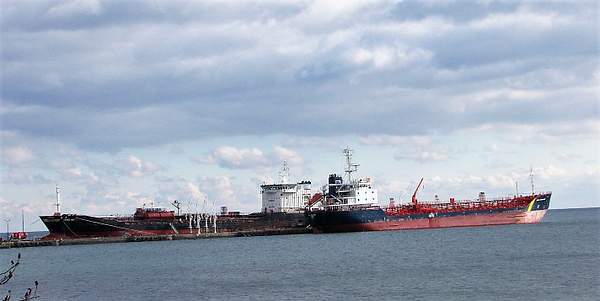 Tanker built 1992 in Germany. Chartered to Petro-Nav from Montreal. Flag - Canada. Home Port Quebec. 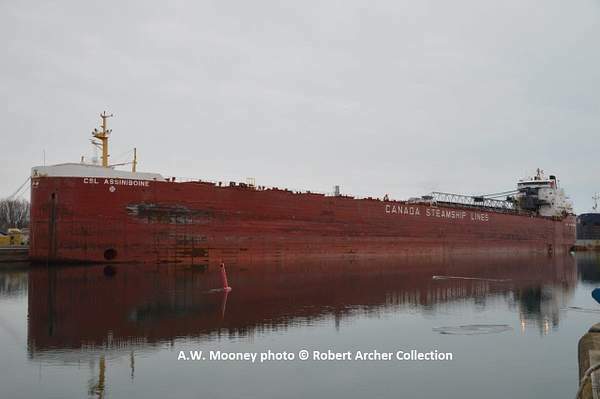 Algoma Central Steamships Blt 1982 - Collingwood Shipyards and Port Arthur Shipyards. Launched 1983 Scrapped 2017 in Turkey. 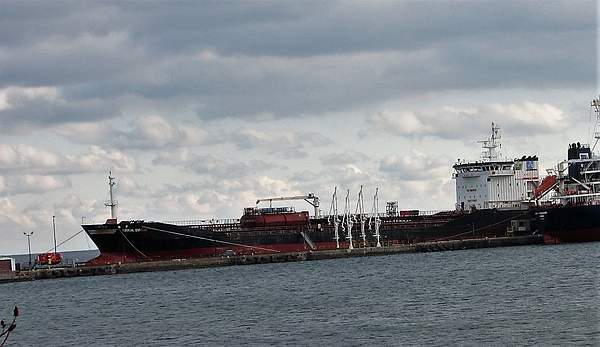 Built at Port Weller Drydocks in 1967 and launched as Canadian Century . 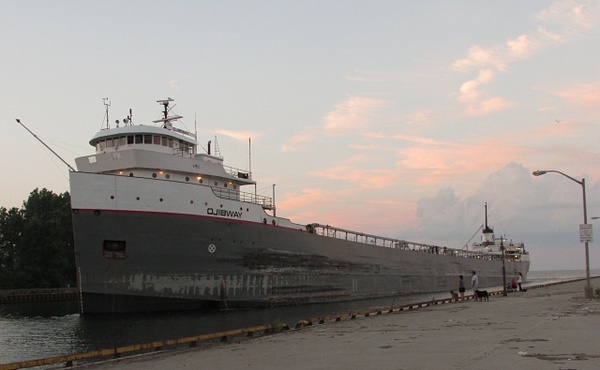 Refitted and renamed John D Leitch in 2002. 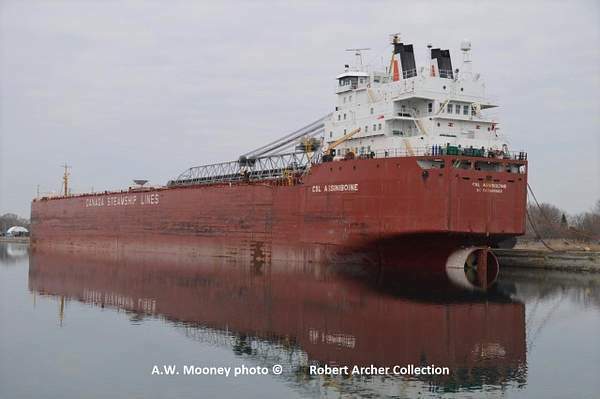 Transferred with rest of Upper Lakes fleet to Algoma Central in 2011. The Ojibway - Lower Lakes Towing, Port Dover Ontario, enters the Burlington Canal to enter the Hamilton Harbour at sunset July 25 2018. Blt 1977 at Davie Shipbuiling Lauzon Quebec. 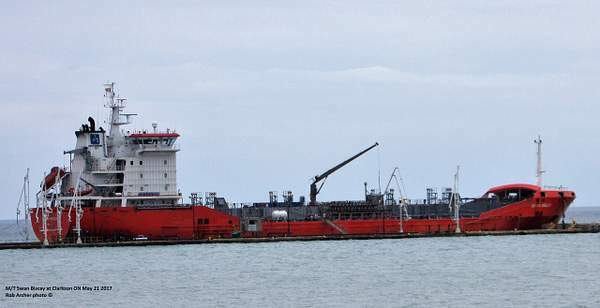 Named Jean Parisien for vice chairman of Power Corp who was the actual owner - CSL as vessel manager rebuilt at Port Weller Drydocks 2004 and renamed CSL Assiboine. 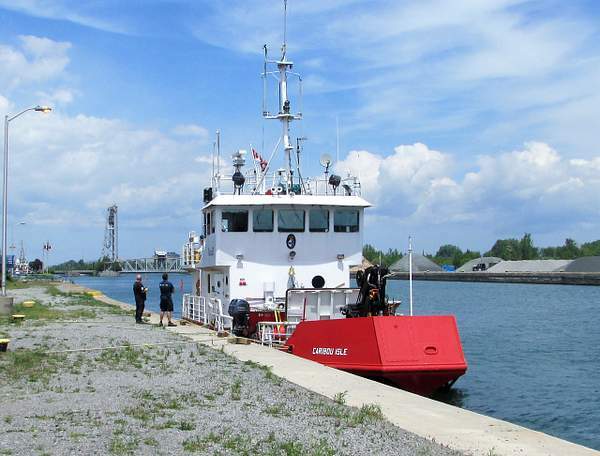 Relaunched 2005 It spent the 2018/19 winter layup season at Wharf 16 in Port Colborne. 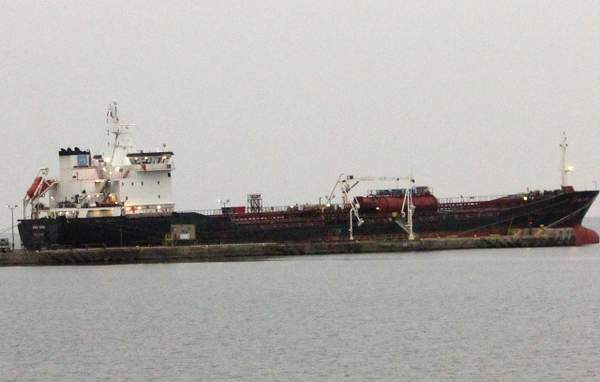 A view of the stern of CSL Assiniboine. 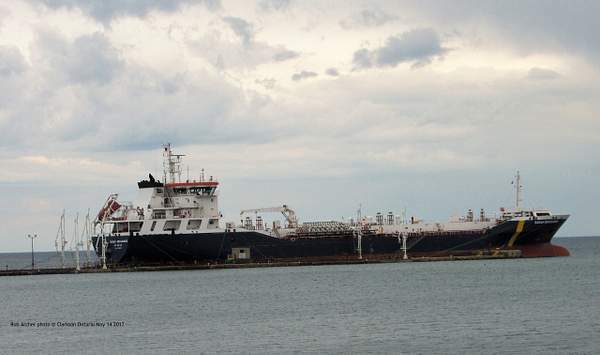 Interesting to see it is home port St.Catharines not Montreal. 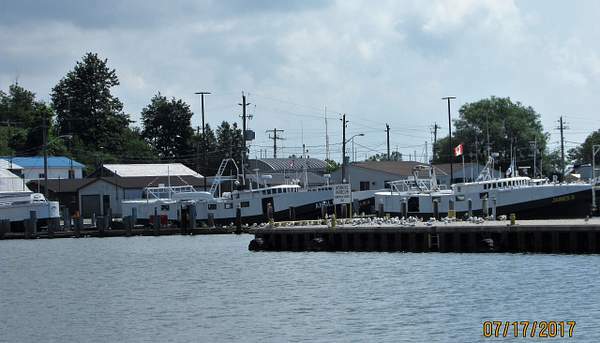 Port Dover on Lake Erie is home to a commercial fishing fleet. Pleasure craft have their own harbour further upstream. 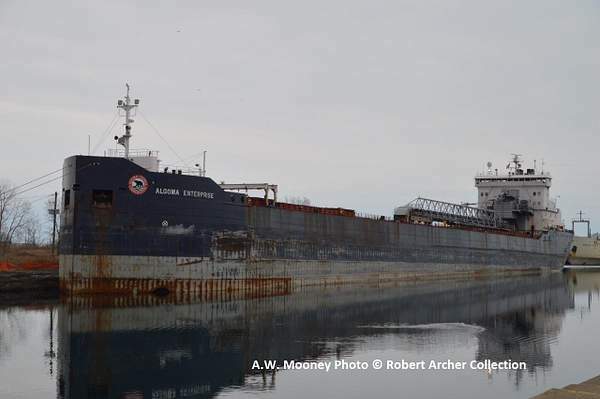 The 2017 shipping season is winding down as Radcliffe R Latimer , Algoma Steamships, unloads at Clarkson on December 2. ex-Algobay(2) exx-Atlantic Trader nee Algobay(1) 1978. Algobay(2) was rebuilt in China 2005 and then renamed. 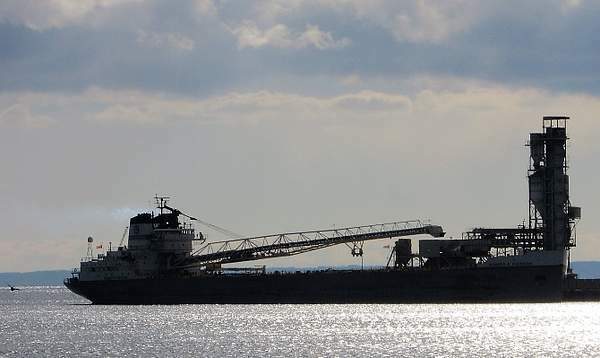 The late season rush to fill the cement company with limestone for winter's production had the Robt Pierson return loaded on Sunday December 9 2018. It was maneuvering to the pier. 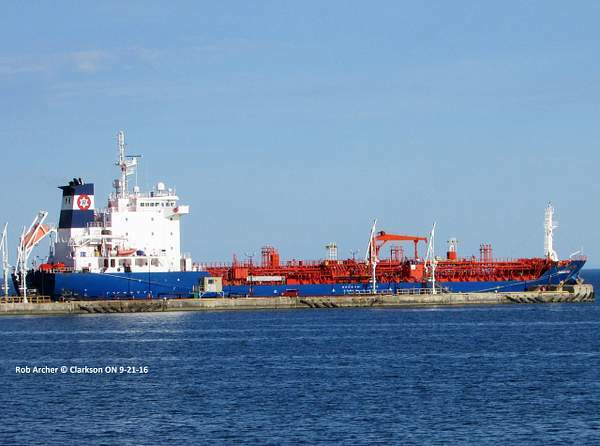 See picture of Sarah Desgagnes at anchor for ship information. Blt 2007 in Turkey. 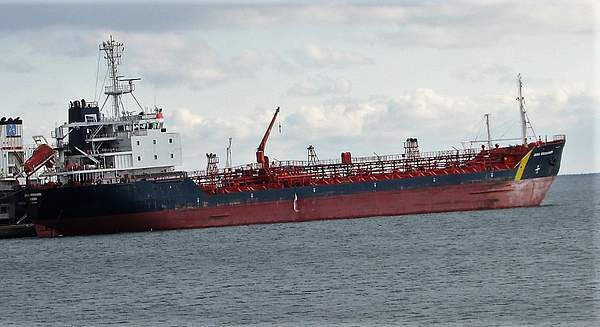 ex Besikas Greenland acquired and renamed 2008. 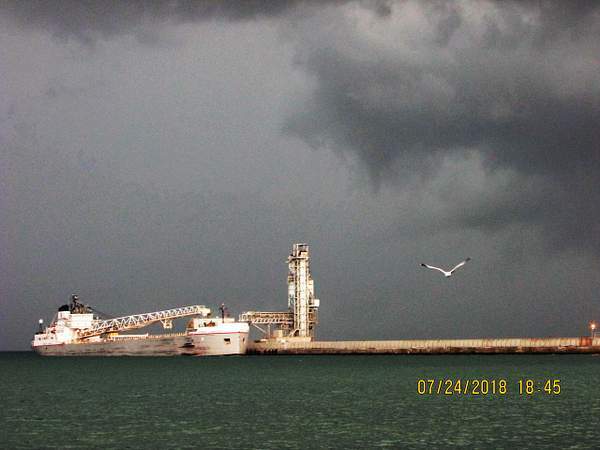 Robert S. Pierson, Lower Lakes Towing Port Dover Ontario, is unloading a cargo of limestone at the CRH (St.Lawrence Cement) pier at Clarkson as a thunderstorm bears down. 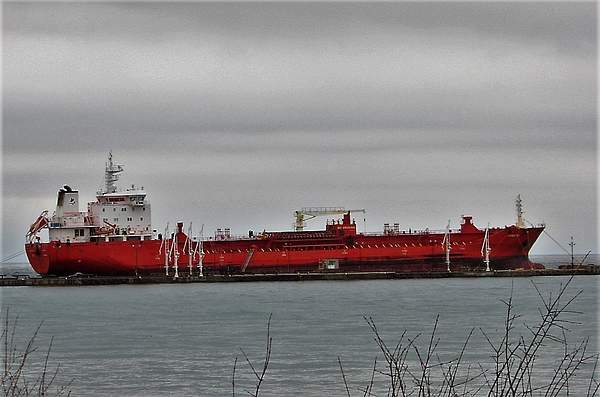 Jana Desgagnes is at the Petro Canada pier in Clarkson on Friday November 9. It will depart about half an hour after I took this picture. 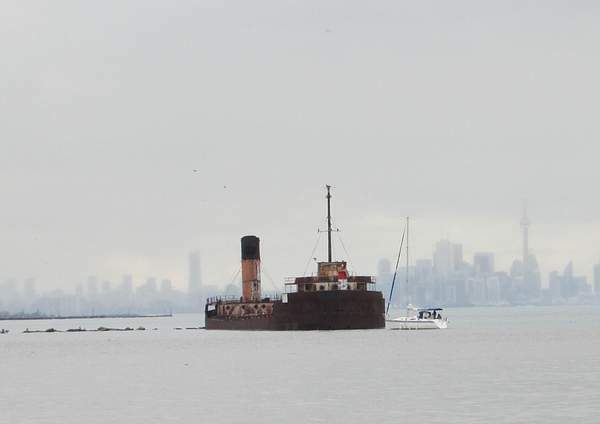 Arnold Mooney shot the last whaleback steamer on the Great Lakes the John Ericsson near Hamilton in 1968 Built in 1896 by American Steel Barge . Owned by Bessemer Steamship which was absorbed by Pittsburgh Steamship it was "Sold Canadian" in 1930 to James Playfair's Great Lakes Transit Company . 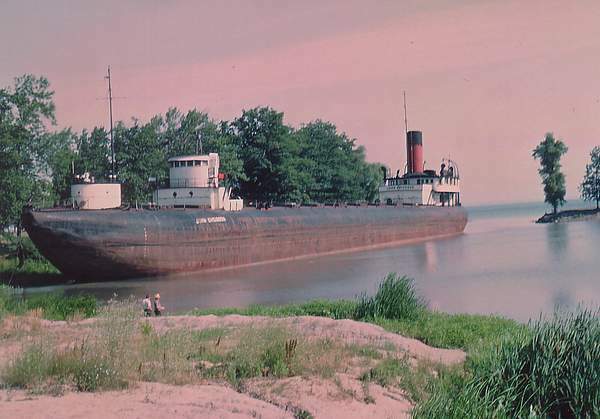 1938 sold to Upper Lakes Shipping. Sailed till 1963 when retired. Transferred to City of Hamilton as historic attraction but sat at Confederation Park till 1968. Scrapped in Hamilton 1968. 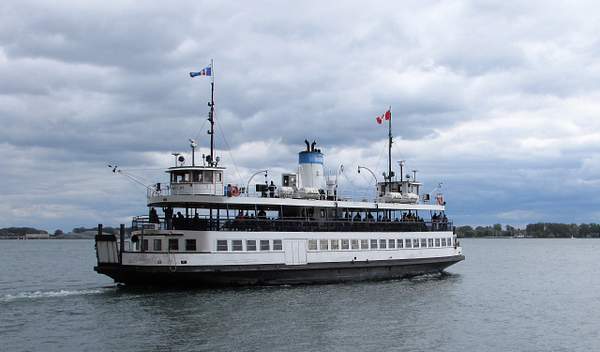 Toronto Island ferry William Rennie has just left the Jack Layton Ferry Terminal for a trip across Toronto Bay to Centre Island.